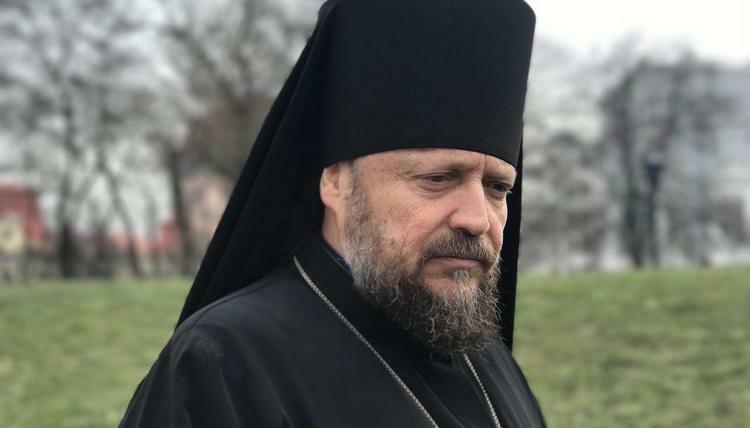 Early in the morning of February 14, 2019, Bishop Gideon Makarovsky (Charon) was deported to the United States. The night before in the airport “Borispol”, officers of the Ukraine Security Service detained him without any explanation, and employees of the State Border Service arranged a passport for travel abroad. Bishop Gideon — Vicar of the Kiev diocese, and Abbot of the Desyatiny Monastery of the UOC — was conducted to an aircraft, accompanied by machine gunners. Oleg Slobodian — a spokesman for the head of the State Border Service — said that “the border guards fulfilled the instructions of one of the law enforcement agencies.” According to him, Bishop Gideon "is engaged in anti-Ukrainian propaganda and is an active disciple of the 'Russian world'." Bishop Gideon tried to contact lawyers, but he was not allowed to do so. He also became ill, and an ambulance team had to be called. “I was not allowed into Ukraine. They claimed that my citizenship had been revoked, and is not valid, even though I flew out of the country without any problems only 15 days ago, and even though there have not been any decisions made in court." The bishop stressed that his detention was motivated by “simply because the passport was allegedly lost,” even though he had made no statements about losing any documents. “It is just religious and political pressure,” stated Bishop Gideon. As reported by the UOC Information Center, the Bishop's detention took place on the eve of a Supreme Court session in Ukraine, regarding a claim to invalidate the appeal of parliament to Patriarch Bartholomew about receiving the Tomos. Information on the meeting scheduled for February 14 is posted on the website of the Supreme Court of Ukraine. In October 2018, several lawsuits were filed to the Supreme Court of Ukraine to declare unlawful and repeal the ruling on Tomos, including the Vicar of the UOC Metropolitan Gideon, Gorodnitsky Monastery of the UOC, and the community of the Berdyansk Church of St. Nicholas of the UOC. Due to the deportation, Bishop Gideon will not be able to participate in the court session on February 14. In what format it will take place, and whether it will take place at all is unknown. Recall that on Wednesday evening in Boryspil, the governor of the Desiatinous Monastery, Bishop of Makarov, Gideon, was detained after his visit to the United States, where he held a working meeting with government congressmen. At the meeting, Bishop Gideon highlighted the situation regarding the violation of the international rights of believers, and also spoke about the radical attacks on the churches of the Ukrainian Orthodox Church, the beating of believers, and the oppression of clergy from radical organizations. Dear brothers and sisters! Thank you all for your support! I ask your prayers that the Lord strengthen us all for further work in the glory of our Lord and the Ukrainian Orthodox Church.